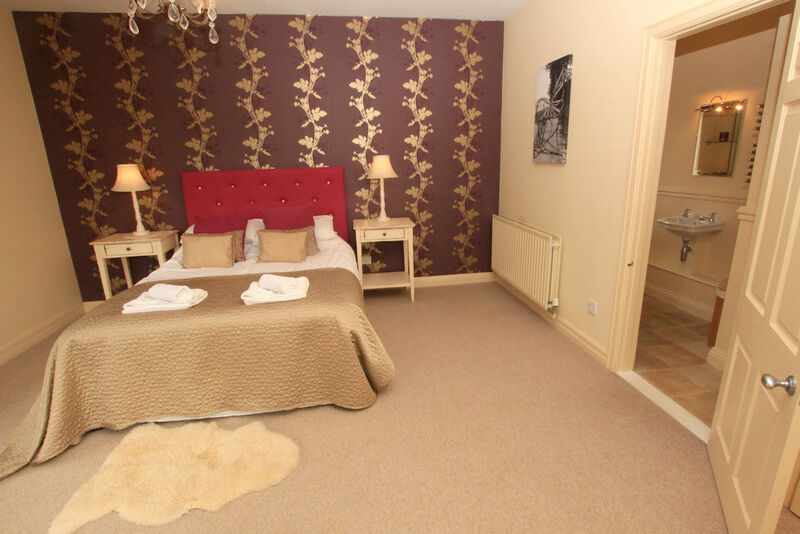 Attention to detail is the key to the luxury and welcoming accommodation at The Lindens. 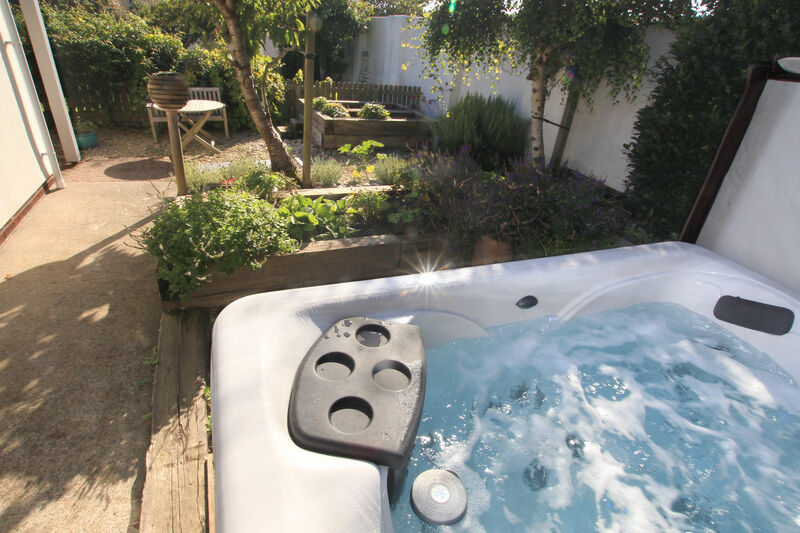 Everything you need is provided to enjoy a fantastic family holiday in picturesque Croyde. The sitting room offers seating for up to 8. There is a flat screen TV with Freeview, and French doors open fully onto the front terrace - perfect for 'al-fresco' entertaining. 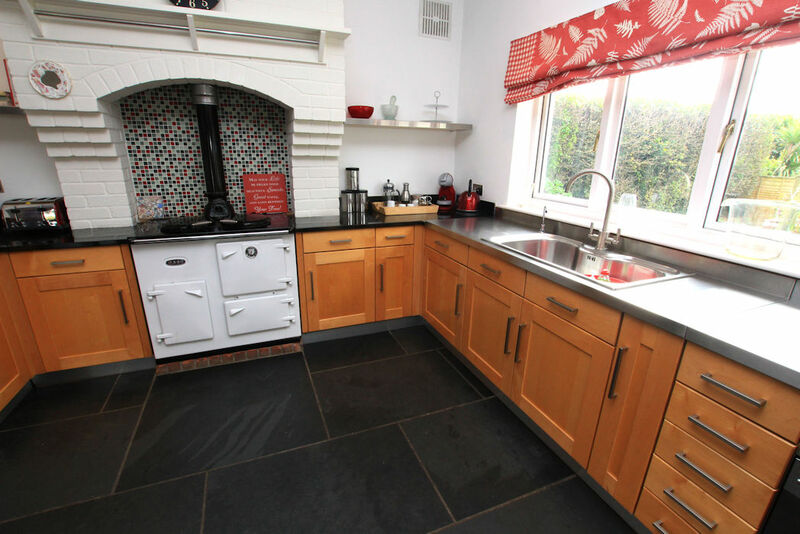 From the kitchen there is a utility room and separate W.C, with a door to the rear. 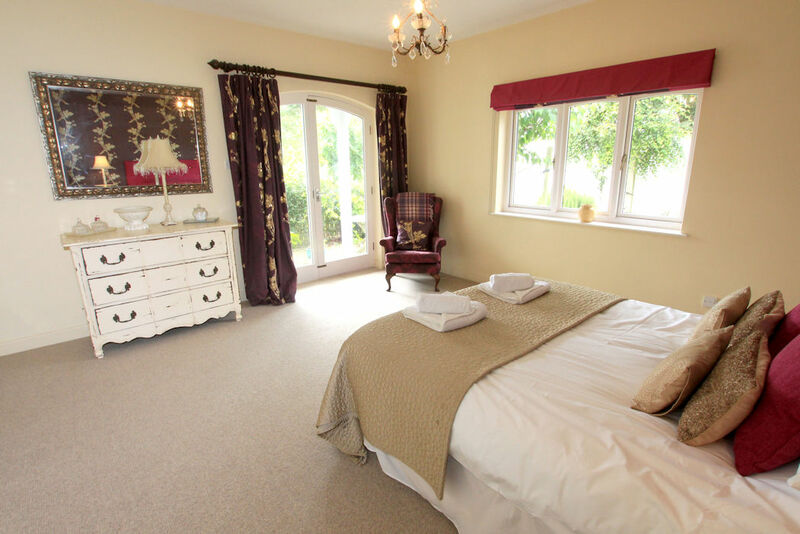 The lovely master bedroom has an en-suite shower room.and opens onto a private terrace via French doors with access to the hot tub*. 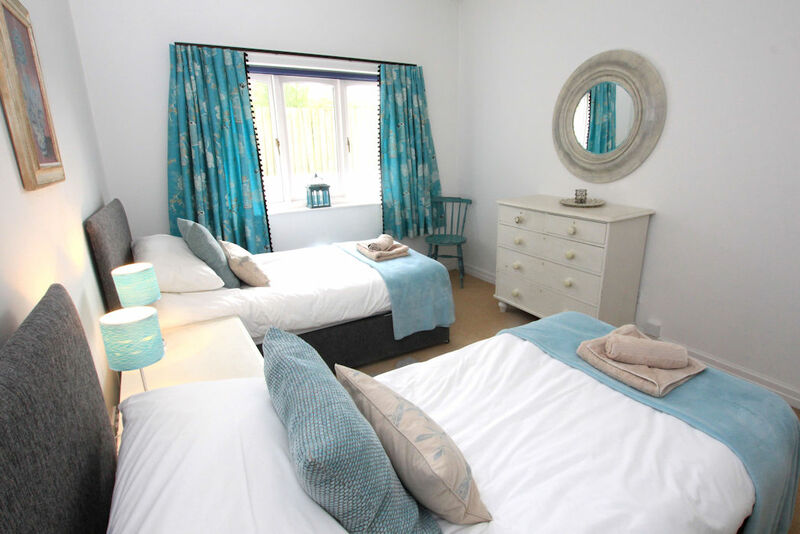 There is a further double bedroom and a twin room and a bunkbed room. 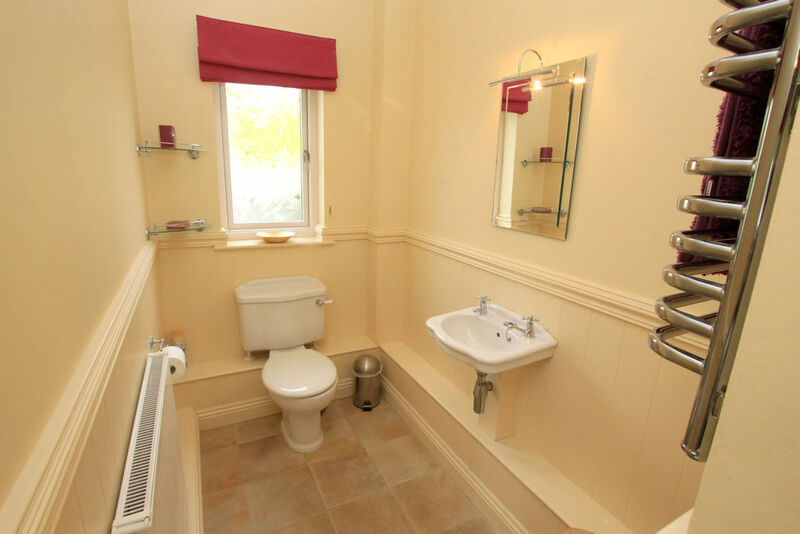 The contemporary family bathroom has a shower over the bath and is very well appointed. Outside there is parking for 3 vehicles and storage is available at the rear of the garage for bikes/surfboards/wetsuits etc. The large lawned garden has a terrace and brick built coal barbeque. There is an outdoor table and chairs for dining. 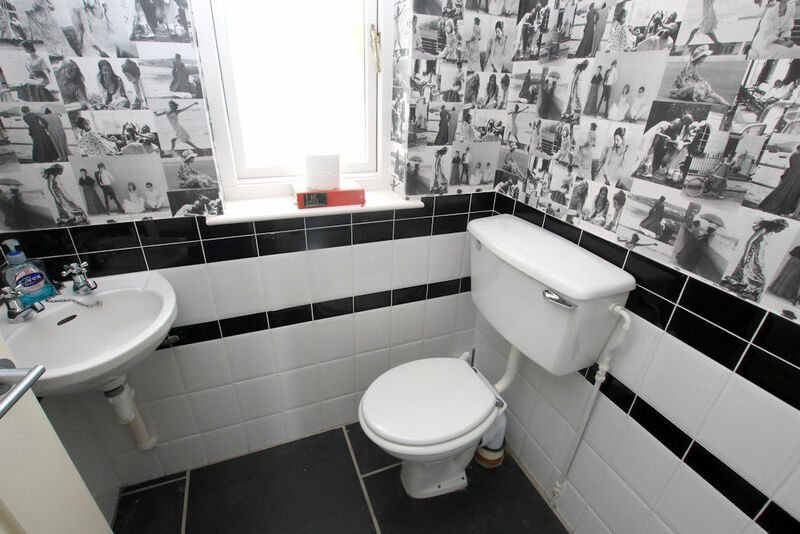 This property is restricted mobility friendly - please contact us for more information. 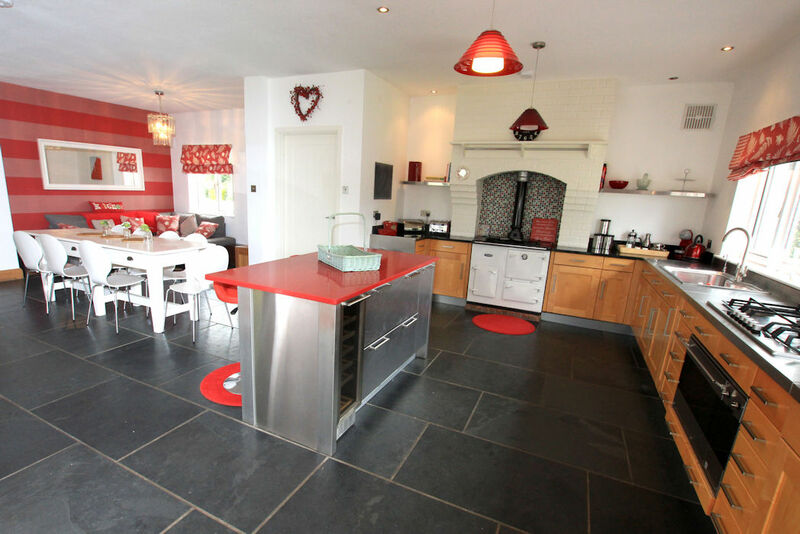 The Lindens is a great house for a family holiday. 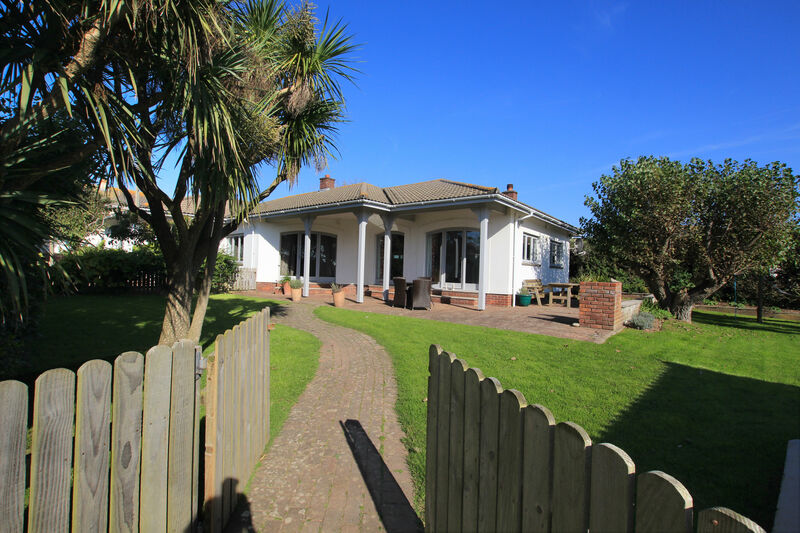 Spacious and roomy and only a 7 minute walk to the fabulous beach for some surfing. 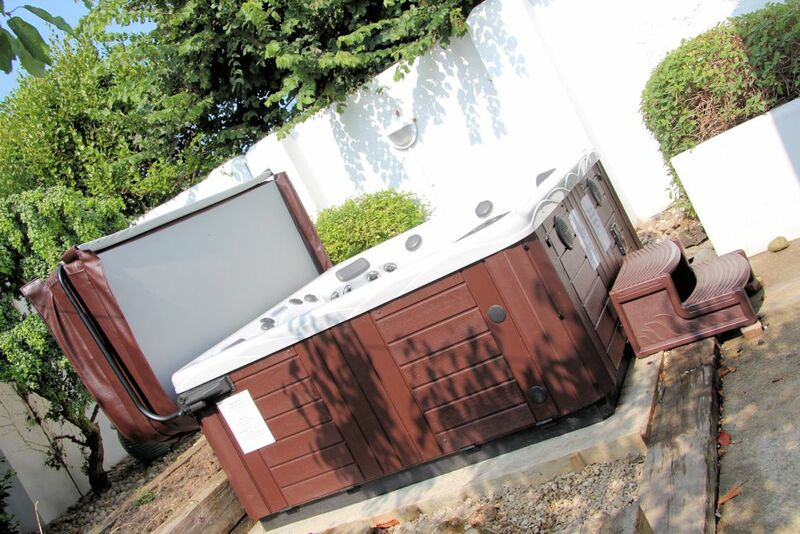 The hot tub is an absolute joy (and necessity!) after the daily surf, especially as our trip was in October. The only thing missing is an outdoor shower - that would have ticked the final box. 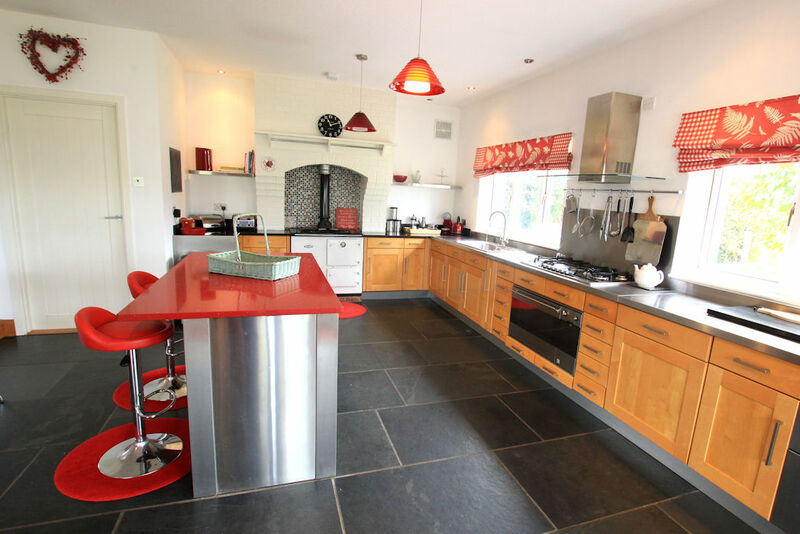 The kitchen/diner is large enough for 8 to feel comfortable in and has all the usual necessary stuff. The Aga added to the cosy feel. Having a separate sitting room with TV was handy for the teenagers. Whilst the décor is slightly dated it didn't detract from our enjoyment of the house and holiday. 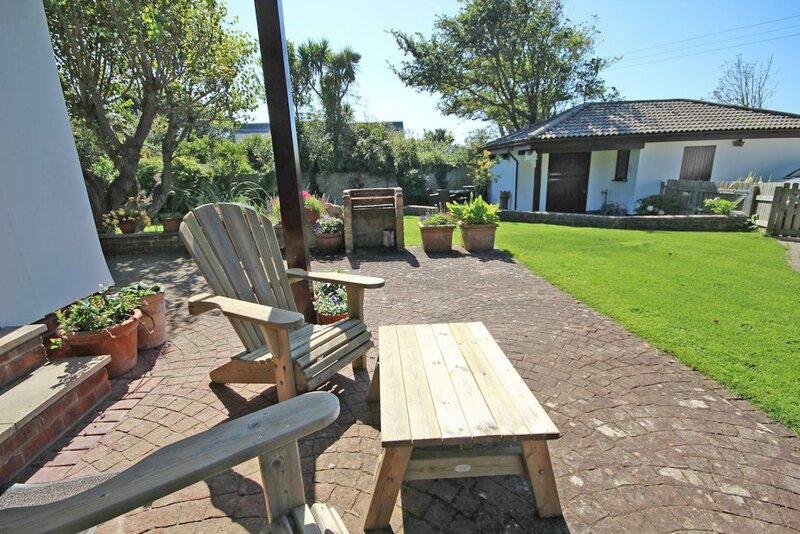 The Lindens is a superb holiday place - Based in Croyde, but secluded in the village. 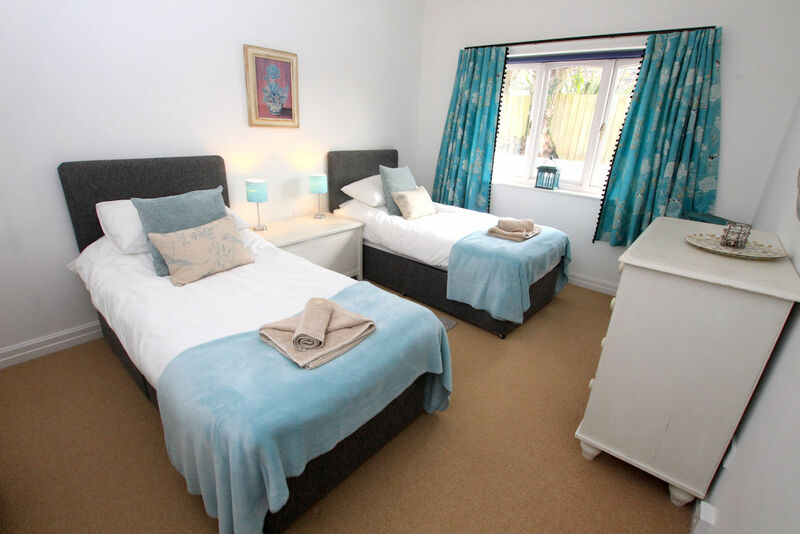 Excellent facilities and highly appointed accommodation. Absolutely wonderful!